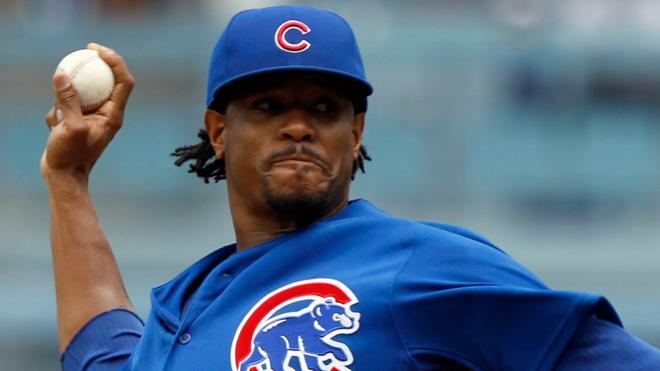 Edwin Jackson (born September 9, 1983) is an American professional baseball pitcher for the Chicago Cubs of Major League Baseball. Jackson has played for the Los Angeles Dodgers, Tampa Bay Devil Rays / Rays, Detroit Tigers, Arizona Diamondbacks, Chicago White Sox, St. Louis Cardinals and Washington Nationals. Jackson was an All-Star in 2009 and threw a no-hitter on June 25, 2010. 3 Pitcher selected in the 6th round by the Los Angeles Dodgers out of Shaw High School (Columbus, GA). Has played for the Dodgers (2003-2005), Tampa Bay Devil Rays (2006-2008), and Detroit Tigers (2009).